Dr. Frank Melgoza is a pathology specialist based in Mather, California. He graduated from the University of California Davis School of Medicine. After graduation, he continued with an internship at the University of California Davis and a residency at the University of California Irvine. Dr. Melgoza is licensed to practice medicine in California. He is a board-certified specialist in Anatomic and Clinical Pathology. He has also contributed to several studies that focused on his area of expertise. Some of the topics he analyzed include the cell lymphoma of the gastrointestinal tract, Nrdp 1 transcription by the androgen receptor, radical prostatectomy and zero positive surgical margins. 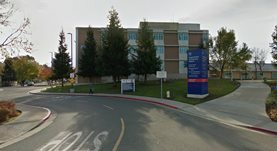 Dr. Melgoza is currently affiliated with the VA Northern California Health Care System in Mather. Dr. Frank Melgoza has contributed to 3 publications. Mantle Cell Lymphoma of the Gastrointestinal Tract in a Patient with Renal Cell Carcinoma. Shojamanesh, H.,Melgoza, F.; Am. J. Gastroenterol.. 2016 Jul 01. Transcription of Nrdp1 by the androgen receptor is regulated by nuclear Filamin A in prostate cancer. Savoy, R. M.,Chen, L.,Siddiqui, S.,Melgoza, F.,Durbin-Johnson, B.,Drake, C. M.,Jathal, M. K.,Bose, S.,Steele, T. M.,Mooso, B. A.,D'Abronzo, L.,Fry, W. H.,Carraway, K. ...; Endocr. Relat. Cancer. 2015 Mar 12. Zero positive surgical margins after radical prostatectomy: is the end in sight. Skarecky, D. W., Brenner, M., Rajan, S., Rodriguez, E., Narula, N., Melgoza, F., Ahlering, T. E.; Expert Rev Med Devices. 2008 Nov 01.